Project 10 is a professional and very special categories blogger themes because this themes have good feature like gray color for main background this themes, personal categories blogger templates. 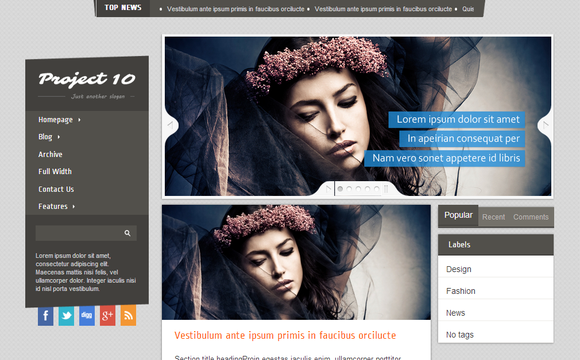 Project 10 is equipped with various of widgets which will help you to publish your blog more professionally. To make it easy for you we have published this detailed documentation, so that you can setup your blog correctly. Change highlighted text with your's. Change # with your desired social url.